Congratulations to Jennifer Boyce, of McMinnville, Oregon, on the purchase of Bacchus. 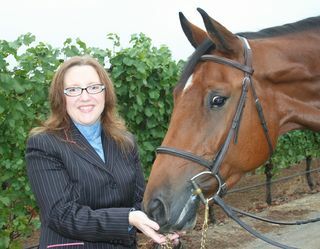 Bacchus will begin training with Karianne Boyce-Lockhart of Poseidon Stables at her new facility in Eugene, Oregon. Jennifer and Bacchus have a special connection with one another and we look forward to their future together.